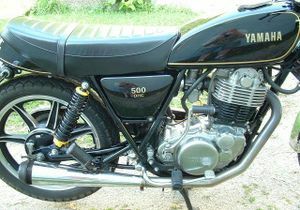 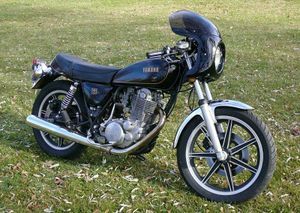 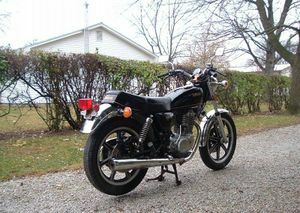 The Yamaha SR500 is a motorcycle produced by Yamaha from 1978 to 1981. 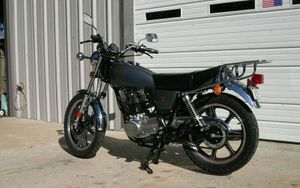 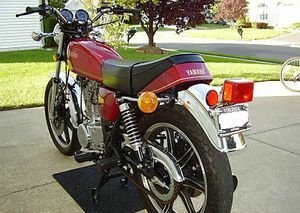 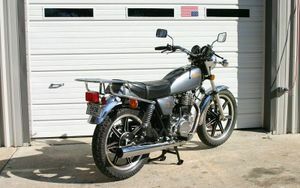 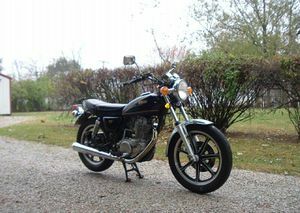 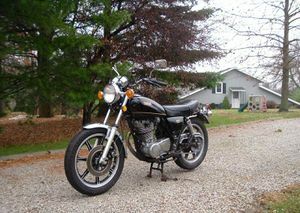 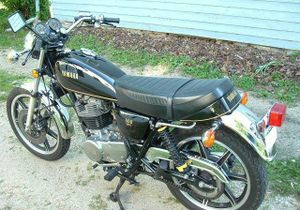 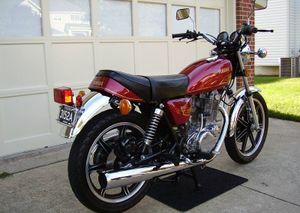 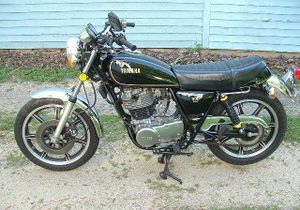 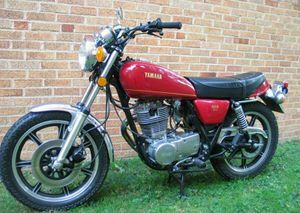 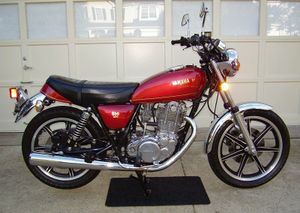 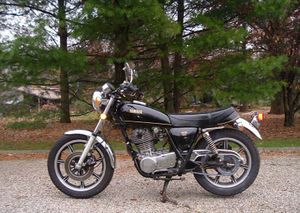 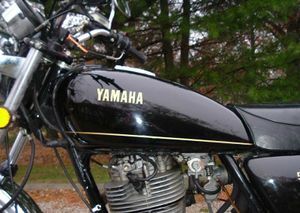 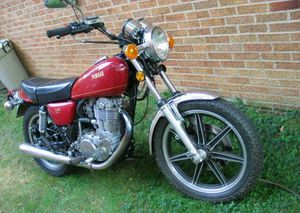 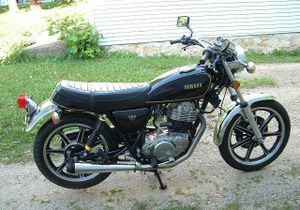 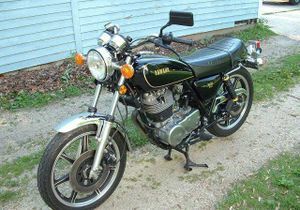 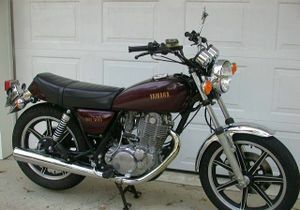 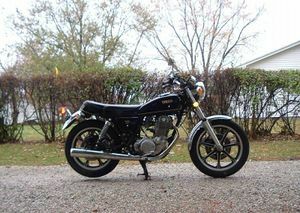 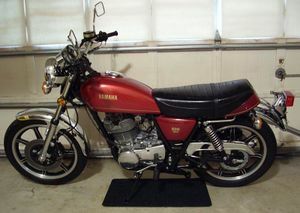 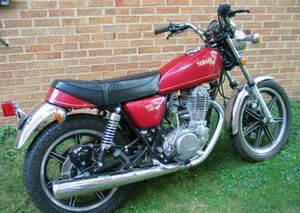 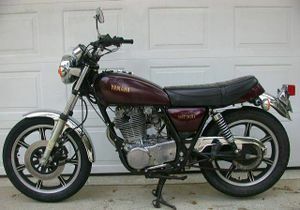 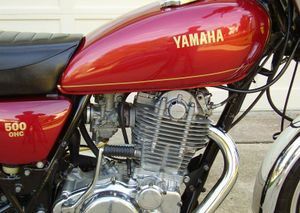 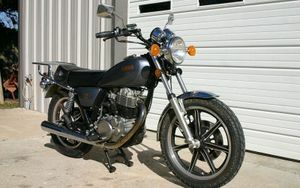 In the 1970s, Yamaha developed models for every possible niche in the market with the intention of beating Honda. 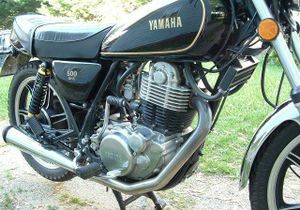 This obsession drove Yamaha to the brink of failure, but it did create two excellent road bikes: the XS1100, which had the biggest engine capacity of its day, and the basic SR500. 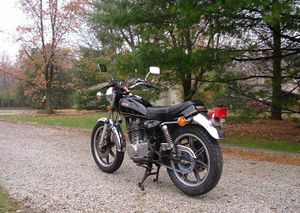 Like its off-road clone, the XT500 , the SR had an extraordinary career. 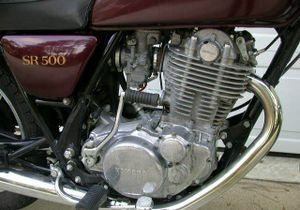 Virtually without competition, it was comparable in price and performance to the 400cc twins. 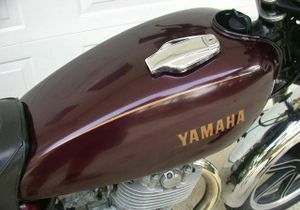 but had the great advantage of character. 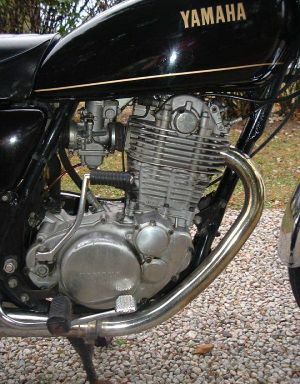 There were still those who yearned for the four stroke big single, extinct since the collapse of the British manufacturers ten years earlier, and still regarded it as the purest sort of motorcycle. 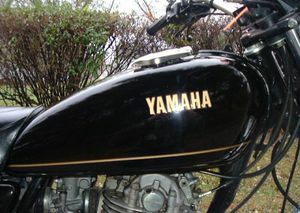 Its faults were known and loved! 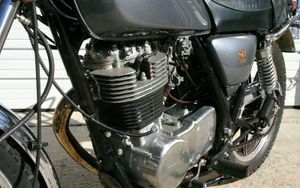 The engine felt alive, you could enjoy the machine's vibrations and its fickle moods.The very act of kick-starting a big single made its rider feel like a true motorcyclist. 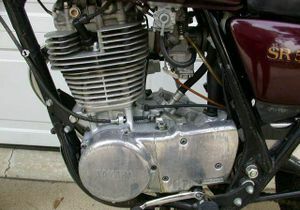 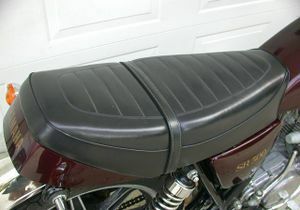 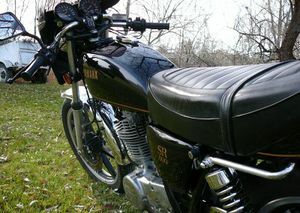 The big four-stroke Single fills a similar role in European two wheeler culture as the Harley does in America. 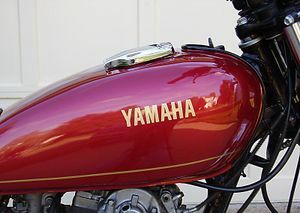 Yamaha succeeded in reviving the legend by offering a compromise of classic and cutting-edge style, a clean and reliable engine and up-to-date technology. 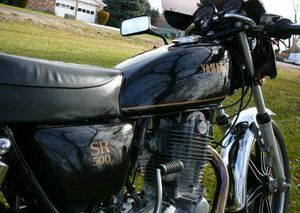 In the German market, the SR remained the most popular motorcycle. 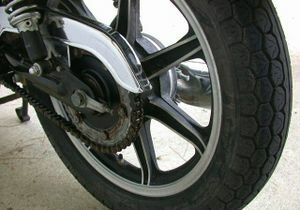 Remarkably,in 1989 this market managed to get the original disc front brake replaced by a classic brake drum.This new nostalgic image prompted the relaunch of the SR on the French market in 1992. 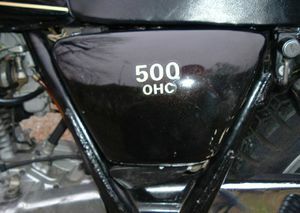 This page was last edited on 5 December 2010, at 17:11.